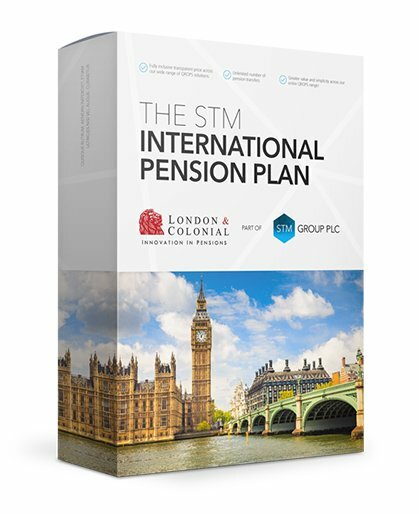 Being the Managing Director of a major pensions providers locally gives me the opportunity that together with other stakeholders we continue growing and consolidating the international pensions market but also working to develop the local pensions market. The island provides the ideal solution for high-net-worth individuals looking for an investment vehicle, international workers planning for retirement and global corporations seeking pension schemes for their staff. Also, a number of fiscal incentives aimed at local employers and their employees have been introduced to take up voluntary private pensions. People have to be allowed to fail and succeed,­­­ and learn on their own terms. As a managing director, it falls on you to drive the company’s vision forward. In time though, you have to switch your attention to higher-level concerns and trust others to advance your vision. Micromanagement is damaging. When a company is in its early stages the Managing Director role is always in flux though, adapting itself to the needs of the company. However, as the Company grows one will hire specialised people to handle the different functions and you will focus more on the parts of your job that you really love and can provide the most value. It is not always easy to take a step back from being at the centre of daily operations. But accepting that the wider scope of the company is autonomous to you is a key part of successfully running a growing company. Today, I spend my time thinking more about bigger picture strategic concerns over the day-to-day needs of the company. I think of my job as being the one with the map, looking at what is coming up ahead and determining what turns we should be making. Our calling card is our financial strength, which is imperative in a business where what we offer consumers is an intangible promise to pay a death benefit or an income for life at some point in the future. I think a lot of times making a business decision is like being a marathoner. In other words, you know what and where the finish line is that you really want to get to but, along the way, it’s not always pure joy. There are really hard moments. But if you keep your eye on the prize, it is part of what drives you to get there. We are judged by what we finish not by what we start. Organisations that do not take a companywide approach to diverse workforce will have an awfully difficult time retaining whatever diversity they currently have. Community engagement is not only the right thing to do, but it can also provide an enduring shared benefit for all involved. But acting with good intentions is quite different from doing the right thing in a way that truly benefits your business and its shareholders, employees and most importantly, society. Our culture has enabled us to build a balance sheet that is second to none in our industry. It’s clear that young people coming into the workforce today want a job with purpose – and what creates better value for a customer than to solve a problem for them? That’s what we do in the financial services business. We do good for others by solving their problems. It has really resonated with me to hear how many young people want to work in a business where they feel they are doing something good for others and can also be engaged in improving their community. Offering professional development training programs allows employees to perform better and prepares them for positions of greater responsibility. But it can also help employers attract top job candidates, retain their best workers and identify future leaders. Moreover, ongoing professional development is very appealing to many employees today who are looking to keep their skills relevant in a rapidly changing world. BA(Hons) Accty., Dip. Tax., FIA, CPA, APMI, MIM, MBA (Henley) Deborah has twenty years experience in the financial services, gaming and hospitality industries. In her various C-level and board member roles she had formulated new strategic directions and implemented the necessary changes. She has been instrumental in setting up and growing various companies. She is a Certified Public Accountant, holds a Masters in Business Administration from Henley Management College and she holds an Advanced Diploma in Retirement Provision pursued with the UK Pensions Management Institute. She is the only Maltese resident holding such a qualification in pensions. She is a Fellow Member of the Malta Institute of Accountants, and a Member of the Malta Institute of Taxation, Malta Institute of Management, Institute of Financial Services Practitioners and an Associate Member of the Pension Management Institute UK. Deborah won Malta’s Best Knowledge Entrepreneur of the Year Award 2015. She has also been nominated and then voted as one of the four finalists for the Commonwealth Women Entrepreneur of the Year 2015.